Chairman LoBiondo, Ranking Member Larsen, distinguished members of the Subcommittee; my name is Pete Bunce and I am the President and CEO of the General Aviation Manufacturers Association (GAMA). 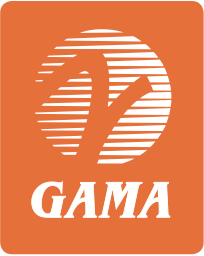 GAMA represents over 80 companies that are the world’s leading manufacturers of general aviation airplanes, rotorcraft, engines, avionics, and components. Our member companies also manage airport fixed-based operations, as well as pilot training and maintenance facilities worldwide. I appreciate the opportunity to testify today regarding the state of America’s aviation manufacturers and the issues that lie ahead for this important part of the aviation sector and our economy. We applaud the leadership of this Subcommittee for focusing on this critical issue as we begin to discuss what aviation policy needs to look like in the months and years to come. General aviation (GA) is an essential part of national transportation systems in the United States and is especially critical for individuals and businesses that need to travel and move goods quickly and efficiently in today’s just-in-time market. In the United States, GA supports over 1.2 million jobs, provides $150 billion  in economic activity and, in 2012, generated $4.8 billion  in exports of domestically manufactured airplanes. But when you look behind these numbers, you see general aviation’s impact more clearly. In Alaska, general aviation is the way health care and school transportation is provided. In the rural and small communities of our country, it is the way that small businesses operate more efficiently and maintain and grow their customer base. When communities face disaster, general aviation acts as a lifeline to deliver much needed relief supplies and assist in medical evacuations. General aviation also employs large numbers of veterans across this country and transports veterans for medical and other purposes through the good work of volunteer organizations and individuals. Additionally, rotorcraft is a key part of our growing energy industry. General aviation manufacturing employs individuals in over 40 states and strongly contributes to the tax base and local community in states like California, Florida, Illinois, Indiana, Minnesota, North Carolina, Pennsylvania, Washington, West Virginia, and Wisconsin, to name just a few. A report released in May 2012 by the United States International Trade Commission (USITC)  looked at the factors shaping the competitiveness of the U.S. business jet industry from 2006 to 2011. The study found that three of the six global business jet manufacturers are headquartered in the United States, while the other three producers have U.S.-based production activity. Additionally, the U.S. is the principal source of key parts and systems for all of the world’s business jet manufacturers. The report found that competition in the industry is strong, frequent technological upgrades are necessary, and demand is closely linked to overall economic conditions. The ITC also determined that sales and development are affected by the availability of financing, investment in research and development, aircraft certification, and issues like airspace management and taxes/fees including depreciation policies. Finally, the study concluded that workforce development is essential to the industry’s continued success. However, it is also important to note that since the 2008 recession, the global general aviation manufacturing industry has experienced a real and substantial decline in airplane sales. The recent peak of 4,276 deliveries in 2007 was followed by a decline to 1,977 airplane deliveries in 2011 for the same set of companies. Small, piston engine aircraft experienced the most dramatic decline, from 2,755 deliveries to 886 in 2011, a reduction of 68 percent. The employment numbers at these companies reflect this decline with job losses in total for GAMA member companies at roughly 15 percent. Many of these jobs are high-skilled, well-paid positions, and the loss of these jobs affects communities across this nation. During this time, the Export-Import Bank of the United States (EXIM) has played a key role in facilitating general aviation aircraft exports into emerging markets. As an industry, we have increased our use of EXIM. For example, 10 years ago, we typically financed only a handful of airplanes a year at a value of less than $100 million annually. However, in the midst of the recent economic turmoil, the bank increased its support for general aviation and we identified over $800 million in transactions in 2009. The bank’s work also reaches down to support small aircraft. Air Tractor, which is a small, employee-owned company in Olney, Texas, manufactures agricultural and firefighting aircraft and leverages the bank as part of the company’s export transactions. The company has been able to increase its exports over the past decade with the help of the EXIM bank and the company reached record production in 2012. Air Tractor aircraft are delivered to customers in Argentina, Brazil, China, Australia, and Spain through joint export guarantees between EXIM and the Canadian equivalent Export Development Canada. Maintaining global competitiveness and leadership of both the Federal Aviation Administration (FAA) and industry is critical for our nation’s aviation system and economic strength. Aviation safety, operator efficiency, and environmental progress are all dependent on the success of aviation manufacturers and aircraft operators. Our manufacturers stand ready to help drive innovation and investment but, too often in the past, FAA policy and procedure have hindered the industry’s ability to successfully develop and deploy new aviation products and technologies. With this committee’s strong and essential support, progress is being made to create efficiencies and streamline the FAA’s certification process. There has been tremendous effort by FAA leadership, industry, and Congress to ensure that we have the FAA focusing on safety critical activities and leveraging industry resources to improve the efficiency and effectiveness of the certification process. There is, however, much more progress that needs to be achieved to meet the important goal of enhancing the competitiveness of aviation manufacturing and growing exports. We are greatly appreciative of the inclusion of Section 312, entitled Aircraft certification process review and reform, in the FAA Modernization and Reform Act of 2012 (P.L. 112-95). This section is helping drive several recommendations to improve the certification process and allow FAA to focus on priority safety activities. We applaud you for your initiative in this area, including the subcommittee’s recent hearing, and the clear and consistent message that has been conveyed to stakeholders about the importance of this reform. These reforms and improvements are even more vital given the current budget environment that faces our nation. Manufacturers cannot bring any new products to market without FAA certification approval. More than almost any other industry, we depend on action from government regulators. FAA stated it expects more challenges associated with staffing, management of programs, and infrastructure investment. For manufacturers, this could result in more uncertainty and delay for approval of products that are safety-enhancing and key to success in an already competitive marketplace. This uncertainty and inefficiency of FAA certification processes restricts industry growth and has resulted in missed business opportunities and impacted decisions to invest in new projects, expand facilities, and increase employment. One of our companies has calculated that a delay on one project alone costs them $10 million a month. Improvements in FAA policy and procedures are also a key driver of another critical objective of our member companies – safe operations of general aviation aircraft. I’d like to again thank the members of this committee for their leadership on the Small Airplane Revitalization Act (SARA), particularly Chairman Shuster, Ranking Member Rahall, Subcommittee Chairman LoBiondo, Ranking Member Larsen, original cosponsors like Congressmen Lipinski, Graves and Nolan, and the numerous members of this committee who lent their support to this measure becoming law. It is a critical first step to regulatory reform of airplane design requirements focused on streamlining the FAA certification process and making real-world safety improvements. We can have the best research programs and the most innovative technology, but if products cannot get to market, it is of no benefit to manufacturers, users, or the cause of safety. SARA charts a new path, promising increased safety benefits while reenergizing a part of the industry that has struggled with the economic downturn that occurred over the last several years. While SARA is a significant milestone, there are other key areas of emphasis and growth that general aviation manufacturers are dedicated to advancing. In partnership with the FAA and the operator community, the general aviation manufacturers are working to provide insight to the General Aviation Joint Steering Committee (GAJSC). This partnership is focused on identifying and constructively mitigating safety concerns based on data-driven analysis. The GAJSC is also working diligently to establish ways to collect and analyze voluntarily shared data from operators that can be used to identify trends and improve safety. The GAJSC has provided input about how to better train pilots about stall awareness to mitigate loss-of-control, recommended the establishment of smarter policies for the installation of safety-enhancing equipment, and asked the FAA to provide more education about medications and how pilots should address medical issues safely. For example, through the data-driven approach of the GAJSC, it was determined that the installation of Angle of Attack (AoA) indicators could improve safety by increasing situational awareness and enabling the pilot to better control the aircraft during approach and landing. Since the recommendations from the GAJSC, several manufacturers have indicated interest in installing AoAs in their aircraft and multiple avionics manufacturers have announced the incorporation of AoA into their displays. We are still waiting for a key policy decision by the FAA that will enable the installation of this safety equipment more broadly, but the GAJSC approach has helped underscore the importance of AoA installations and driven the policy issue forward. Another example is the recent aviation rulemaking advisory committee that helped to revise the airmen testing standards to ensure that the standards used to test and train pilots more effectively gauge their ability to operate safely. This is the first comprehensive modernization of the policy and standards framework for general aviation and commercial pilot training in several decades and will assist in advancing training for all pilots. The FAA has responded positively to this update to the airmen testing standards and accompanying knowledge test and is currently working to establish a pilot program and implementation plan that will drive these changes into the aviation training community. Both the AoA and training examples, as well as the work of the GAJSC, are concerted efforts on behalf of industry and regulators to improve safety and should be commended and strengthened. Better data, a focus on safety critical activities, and FAA-industry collaboration are essential if safety is to be improved within the confines of current budgetary resources. As Administrator Huerta has emphasized, we must leverage both public and private expertise appropriately if we are to focus scarce resources while continuing to advance aviation safety. Certification is one area where progress has been made but further implementation in other regulatory and operational areas will be essential. We applaud the Subcommittee for recognizing this and hope that this experience can be applied effectively to other areas of FAA operations and investment. In the recent government shutdown, general aviation manufacturers endured significant disruption to their businesses. One example is the closure of the FAA Aircraft Registry office, which effectively precluded our member companies from being able to make routine transactions necessary to deliver aircraft. By way of background, every aircraft that is sold domestically, exported, or imported must obtain FAA approval and receive a certificate of aircraft registration to process financing, such as titles and bill of sale. As a result, we estimate that the closure impacted the delivery of more than 150 newly manufactured general aviation aircraft by mid-October, with an estimated value of over $1.9 billion. The government shutdown also further impeded the development of new aircraft and products as certification activities faltered. The shutdown, combined with the impact of sequestration and the multiple extensions associated with FAA reauthorization, has made it clear that funding for various programs will not be easy to sustain at the levels it has been over the recent past. We need to be prepared for an agency that will have fewer resources to do all the things it currently does. Fewer resources means we all have to look in the mirror at what we need, how we can do it better, how we can work more effectively with the FAA, and how we as an industry can work together. Fewer resources for the FAA also presents opportunities to leverage federal resources more effectively. Our focus needs to be providing the same or better level of services at a lower cost. Remote tower capability is one example. In northern Europe, towers are now certified through the use of modern camera/surveillance and telecom technology to route the feeds from several low activity airfields to a consolidated location. Through the use of modern technology we can lower personnel costs and actually expand service to more airports and increase safety. We know the technological capabilities are there, but the ability to apply that technology needs a sea change at the FAA and within the aviation community. Sequestration did not allow for these constructive discussions and FAA has the opportunity to take a leadership role in facilitating these discussions and decisions with all stakeholders as we address our nation’s fiscal challenges. One way to do this is to deliver the oft-delayed consolidation report that Congress asked FAA for in the last reauthorization. Without it, we will likely lurch from crisis to crisis. We need a roadmap and this report could begin the dialogue of how we better manage resources going forward. We also need a better way to prioritize resources and we look forward to seeing how the recent NextGen Advisory Committee report on NextGen priorities will be implemented by the FAA. At the same time, we must be clear in these discussions about the potential implications for the entire aviation sector. The recent government shutdown illustrated that there are enormous ramifications when functions of the FAA are inactive. The closing of one office in the FAA—the registry—had enormous effect on the industry. It impacted airlines and general aviation operators and their ability to add new aircraft to their fleet. It impacted pilots seeking to renew their qualifications in simulators that required or furthered their training. And as previously discussed, it impacted manufacturers and their ability to deliver product. There are no doubt challenges ahead and a myriad of options that policymakers may consider. GAMA is open to constructively and collaboratively proposing and discussing areas that merit funding as well as areas that are underperforming or deserve streamlining or change. We have clear priorities—to reform certification while ensuring adequate resources are available to ensure our products get to market so we can grow our industry and exports. At the same time, we continue to firmly oppose new aviation user fees or other efforts that will contribute to the further decline of general aviation operations and negatively impact states and communities throughout this country. We also need to be cognizant as we move forward of the demands placed on the FAA. I cited a number of them earlier as we examined the importance of aviation to various communities and industries. The FAA and aviation industry are critically interdependent and are facilitators of public transportation, economic growth and the strength of small businesses, medical services, emergency services, our national defense, and homeland security. Any new policy or budget proposal must recognize FAA’s broader role in our society and the larger public benefit it facilitates. Additionally, the U.S. is unique in the size and complexity of the National Airspace System as well as the security and national defense needs of the airspace and aviation system. This complexity will only be heightened as unmanned aviation systems and commercial space transportation become more commonplace. One area deserving of this committee’s attention is whether we can better ensure in the future that resources this industry pays to the federal government in the form of taxes and fees for FAA operations and investments are protected from these fiscal disruptions. If this is achieved, it will provide some important stability for the industry and FAA during future fiscal challenges and may provide a way forward for addressing other aviation priorities. We look forward to engaging with the subcommittee in this effort. A less immediate problem, but no less significant one, highlighted during the federal government shutdown, is the perception that it has left about United States’ leadership with aviation safety partners around the world. The FAA is one of the four world leading aviation state-of-design authorities for aircraft safety standards, certification and manufacturing. In early October, the first quadrilateral meeting of these authorities was held in Ottawa, Canada, with the goal of discussing enhanced cooperation to improve efficiency in global aviation certification and validation. Europe attended. Canada hosted. And, Brazil was there. FAA? No, due to the shutdown, the United States was not there. This is not the first international set of meetings where the FAA’s participation was hampered due to similar types of challenges. As manufacturers we need clear and consistent U.S. leadership in the international aviation marketplace, which means certainty in FAA budget and staffing. I also want to highlight an issue that is linked to the certification reforms we discussed earlier: proactive leadership by the FAA in supporting its certification and safety activities globally. FAA has historically been viewed as the gold standard for certification around the world. Increasingly, however, other countries are questioning that gold standard. It is imperative that FAA actively promote and defend the robustness of its safety certification globally to facilitate acceptance and/or streamlined recognition of U.S. products and direct engagement with its regulatory counterparts is a necessary part of that effort. At a time of growing exports, any delay in delivering aircraft, after the already lengthy U.S. process, is very harmful. One piece of good news is that we are starting to have some success with the help of the U.S. Department of Transportation (DOT) in improving the operating environment for general aviation around the world. At the 8th Transport Ministerial meeting in Tokyo on September 5, 2013, Asia-Pacific Economic Corporation (APEC) Ministers endorsed a set of “Business Aviation Core Principles” to provide for a more flexible operating environment for non-commercial business aviation. If implemented, this will help open markets, create employment, and strengthen trade links between the U.S. and its 20 partner economies in APEC. We appreciate the support from U.S. government agencies in these efforts, including the DOT as well as the Departments of State and Commerce. We firmly believe, however, that these agencies, particularly FAA and DOT, must stay engaged and demonstrate continued leadership, because while the potential to grow general and business aviation is tremendous, so are the challenges. In this regard, and building on the APEC model, we believe that the Subcommittee should amend DOT’s mission to give the Department a clearer role in advocating for the aviation community within the U.S. government and internationally. To address many of the issues facing the U.S. aviation industry, it will take sustained focus and resources, and we believe is critical that DOT have clear direction from Congress that this is a priority and needs a substantial and sustained level of activity. We look forward to working with members of the Committee on this matter. The policies of the Department of Homeland Security (DHS) and its respective agencies have a direct impact on the ability of our industry to prosper. We are very supportive of security measures that are smart, balanced, and include sufficient stakeholder input to ensure that rules match operational reality. At the same time, we are very frustrated when policies are ill-conceived or fail to be implemented effectively. For example, for almost 10 years, the DHS and Transportation Security Administration (TSA) have failed to respond to a Congressional requirement to promulgate aircraft repair station security regulations. In 2007, in an attempt to spur action by these agencies, Congress barred FAA from issuing new repair station certificates for overseas facilities until the rule is finalized. This has meant that as new markets develop, our companies have been hindered in fully utilizing facilities to support their products. In turn, U.S. industry is less responsive and less competitive as these opportunities emerge. This point is illustrated in the USITC report examining the business jet industry as it states, “Business jet firms must maintain global support and service for their customers, who expect and require around-the-clock availability.”  Our companies stand ready to meet these security requirements but we need to know what they are. As such, we continue to urge policymakers to press these stakeholders to conclude this decade-long process in an expedient manner. Additionally, the United States remains the world leader in flight training due to an airspace environment that is conducive to learning how to fly and because the U.S. general aviation industry and the existing aviation safety regulatory framework is conducive to initial and recurrent flight training. However, since the agency’s inception, the requirements of DHS have significantly increased through added rules and oversight. While TSA has stepped forward to work with the flight training industry, it is GAMA’s view that TSA and other agencies within the Department must take additional steps to ensure the requirements placed on flight training providers are consistent and efficiently executed. Without this, leadership in flight training, an essential part of sales of aircraft, may go elsewhere. Chairman LoBiondo, Ranking Member Larsen, and members of this subcommittee, thank you for the opportunity to testify before you about the state of American aviation. Almost 110 years ago, aviation as we know it took flight in Kitty Hawk, North Carolina. We have made tremendous advances that have had enormous impact on our economy and way of life. From small towns to large metropolitan areas, aviation plays a crucial role in our transportation system. We cannot rest on our laurels of being first in flight—we must continue to make strides to advance aviation. We thank you for recognizing the importance of general aviation manufacturing in the context of this conversation and look forward to working with you to make these objectives reality. Thank you, and I would be glad to answer any questions that you may have.